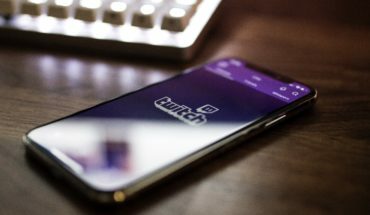 Before we get into the thick of this post, you may be wondering why on earth do I need the best mouse bungee and what is a mouse bungee exactly. Well we will get to that, but first we need to look at why a wired mouse still out performs wireless for gaming. For the general user, a wireless mouse presents a variety of obvious benefits. However, for gamers, a wireless mouse means lag, low scores, and death. The reason behind this is because once a gamer clicks the mouse, the wireless signal must travel from the mouse to the desktop or laptop. If you are playing online, the signal must travel to the online host’s server. A wireless signal takes significantly more time to travel to the server, which registers the input, than the same signal delivered via a wired connection. Consequently, any gamer using a wireless mouse is at a serious disadvantage if he or she is playing against players using a wired mice. For instance, in Fortnite, or any other battle game, if two people press the shoot button at the same time, two digital “shoot” signals are sent to the game’s server. However, the wired mouse signal is faster than the similar signal from the wireless mouse. As such, the server will register the player using the wired mouse as having shot first, and the digital bullet will be digitally delivered to the digital player—with very real results: character death and a lower score. The player with the wired mouse will win because according to the server, he or she shot first. That said, wires from a wired mouse are frustrating. They drag. They pull and they get in the way. However, since the advent of the mouse bungee, wires are less of a problem. Now, the wire gets lifted up and out of the way, which creates a more efficient gaming area. Basically, a mouse bungee is a small contraption that sits between the mouse and the computer. The mouse wire threads through it, and the bungee lifts it up or keeps it out of the player’s way. 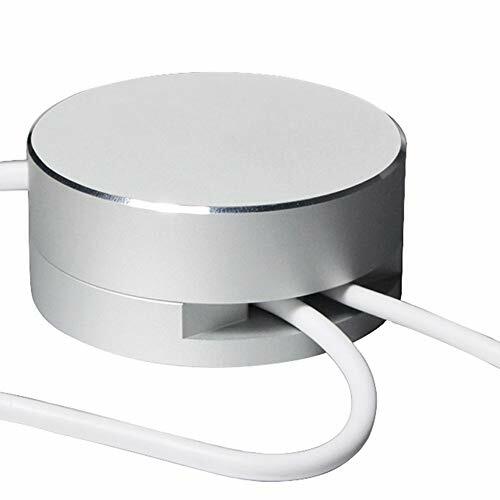 Additionally, as the user moves the mouse, the mouse bungee feeds the wire forward and back, so that there is no pull or drag on the mouse. Even in frantic, shooting sessions, the mouse bungee is able to manage the wire in such a way that the wire might as well be non-existence. In short, the wired mouse is now, in a way, wireless. First and foremost, the best mouse bungee will feed the wire smoothly back and forth in response to you moving the mouse. The feed should not catch nor pull. Any drag or friction whatsoever pretty much defeats the purpose of owning a mouse bungee. Any mouse bungee must be stable enough to remain affixed to the table as you move the mouse. If it is too lightweight, it can be jerked, or it can topple. 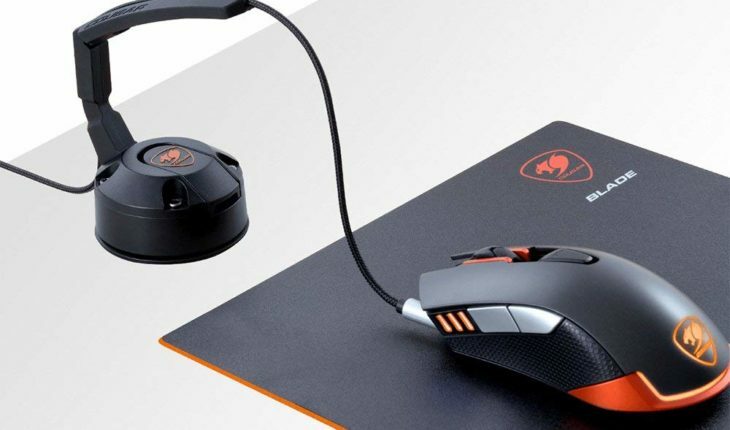 If you are a gamer, and you move the mouse quickly, at various, sudden angles, you will want a mouse bungee with a certain amount of heft to it. The best mouse bungee for gamers will also be stylish and have a variety of USB ports, for powering accessories. The KLIM Bungee is the perfect addition to any gamer’s setup. Built with durability and stability as top priorities, gamers will never again have to deal with friction, disruptions, or blocks while moving a mouse. 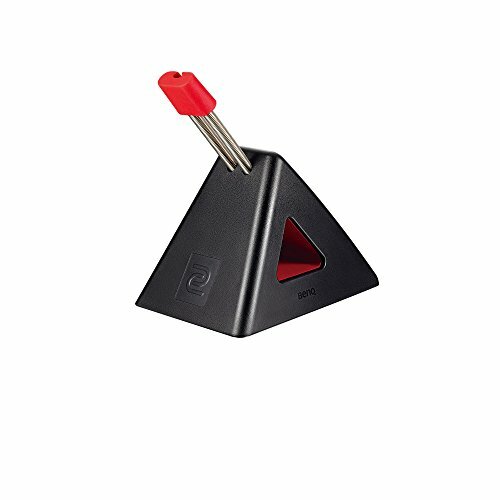 The bungee extension’s base is shaped like a pyramid which keeps the mouse cord stable. Consequently, it will not topple. Additionally, it is weighted, so it will not slide. Finally, the flexibility of the rubber arm ensures fluid movements. In addition, KLIM has incorporated three USB 3.0 ports with 6GB data-transfer rates to help organize the gaming area, reduce clutter, and add more ports to the setup. There is also a micro-SD card reader. 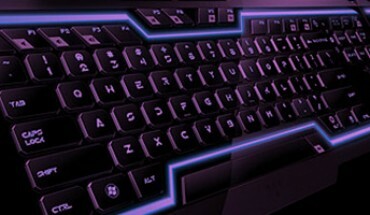 As if this were not enough, they also incorporated RGB backlight functionality that automatically changes colors. This is clearly not your average mouse bungee. In fact, this just might be the best mouse bungee for gamers. The simple mouse-bungee design from Razer will blend in easily with any setup. Gamers will experience enhanced accuracy and precise movements with help from Razer’s mouse bungee. The drag-free cord control reaches up to 3.2 mm, allowing for a variety of movements without the worry of any friction or disruption of play. The base is perfectly weighted and the feet are coated with an anti-slip material. This design means it will not flip over or slip during intense moments of gaming. The Razer provides the best mouse bungee for gamers that want a small footprint. As such, this mouse bungee will not intrude on even the smallest of gaming spaces. Some users report the mouse bungee can be kind of wobbly during frantic, high-intensity, mouse movement. The Zowie from BenQ provides gamers with a rubber clip that is compatible with any mouse cable. Zowie is an excellent solution to the ever-present danger of a tangled cable. The sleek design ensures gamers will not have to deal with space constraints, making model perfect in the most limited of spaces. The Zowie mouse bungee also includes the CAMADE cable-management device. 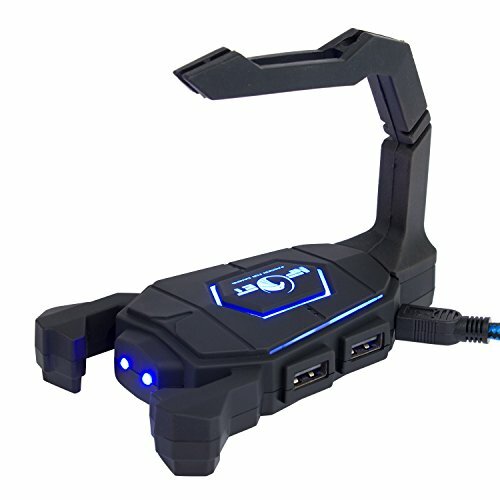 The expert design of this device guarantees gamers can easily adjust the cable length to make quick and varied movements without the cable interfering. Finally, the adjustable spring is a unique feature that allows users to find the perfect height for their specific gaming needs. 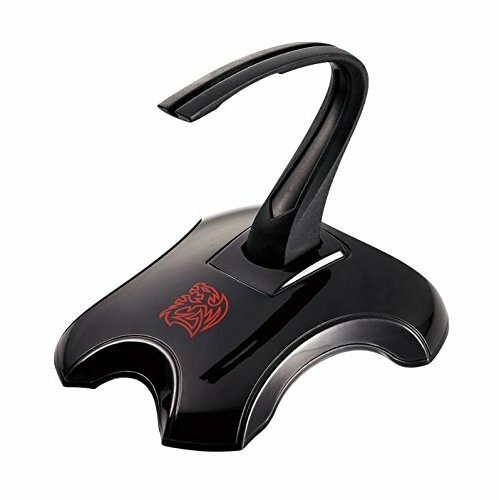 Gamers can also be sure that this bungee will not slip as it is designed to grip the table. 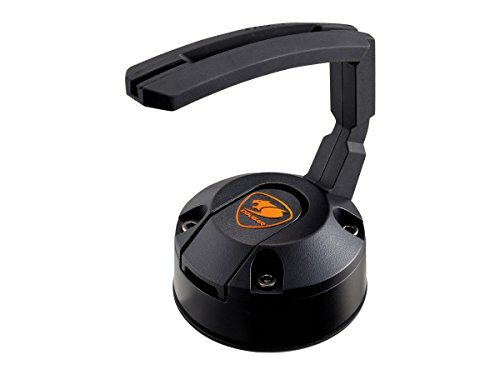 The Bunker from Cougar is the best mouse bungee choice for gamers who require superior stability in intense, fast-paced environments. The patented suction incorporates a specially designed colloid suction pad. The pad provides the ultimate stability possible–including uneven surfaces. Simply put, Cougar has designed a mouse bungee that simply will not budge. Additionally, Bunker provides gamers with unsurpassed accuracy, reliability, and response from a wired mouse. 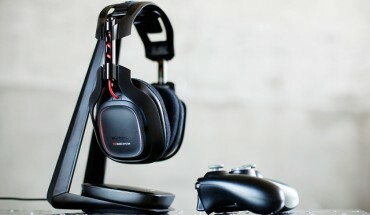 In fact, the experience is so smooth, gamers report it feels wireless. In short, this bungee is a lasting investment that will boost serious gamers to the next level of play. In order for vacuum suction to work the table must be perfectly clean. The Pro Gaming Mouse Bungee from ENHANCE just might be the best mouse bungee for gamers on the market. ENHANCE brings gamers superior mouse response with a base that integrates a weighted design and powerful grip. The result is a bungee that will not slide or slip during intense mouse actions. 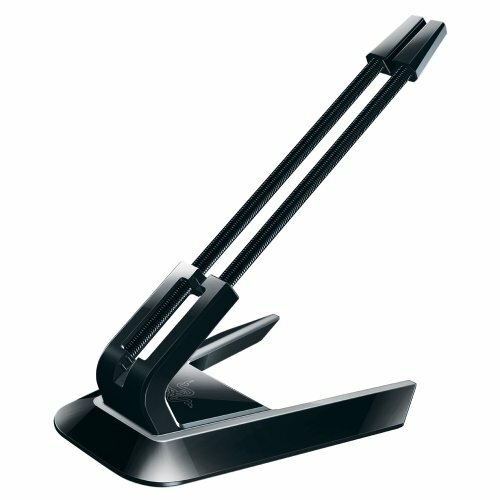 The spring-loaded arm provides a fixed point of motion that supports the mouse cable and ensures it does not tangle or get caught on the edge of the desk. Additionally, it has an elastic holder, designed to discreetly accommodate thin cables. 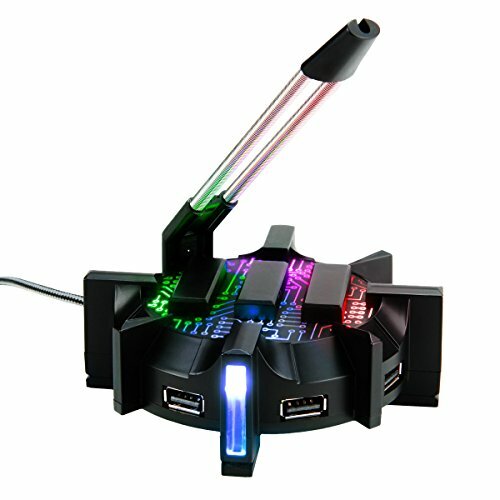 The included USB hub has four ports, making it easy and convenient for gamers to plug in headsets, mice, or even flash drives. However, probably the most innovative aspect of this model is the awesome, ambient lighting. Six color styles are available, allowing players to customize to match their rig’s style. The NPET HO1 mouse bungee incorporates a striking design with superior functionality. The high-quality construction and non-slip feet ensure stable, uninterrupted gaming. The cyan, LED, backlit design provides unsurpassed aesthetics. For gamers wanting to conserve energy or perhaps not bother a roommate, the backlight can be turned off. The static point of reference created by the flexible silicone arm ensures accuracy during high-motion, competitive games. Users experience a full range of motion without the worry of snagging a cable or getting tangled up in one. Finally, since the USB hub has four ports, gamers can plug in more than the mouse. In terms of accommodating other accessories, the USB hub is great for headphones, stand-alone microphones, or any other USB device. 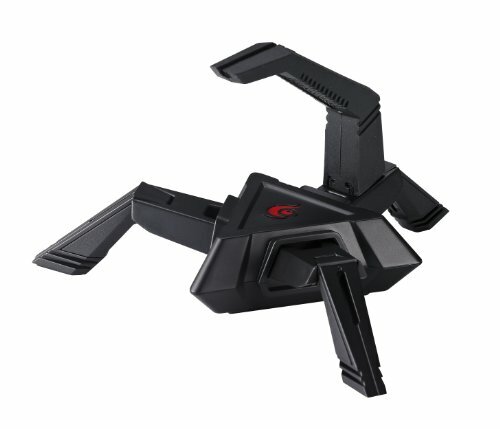 This particular mouse bungee offers solid stability provided by three tri-pod legs. These tri-pod legs are spaced wide apart and at 60-degree angles, resulting in an even balance and appearance. In terms of helping you avoid your mouse wire, a scorpion-style arm lifts the wire up and forward. The result is a menacing-looking, yet highly effective bungee that keeps your wire from dragging, catching, or tugging as you play. The bottoms of the legs are padded, providing traction, and the bottom of the Skorpion is attached to a heavy, iron core that provides enough bulk to withstand sudden yanks. 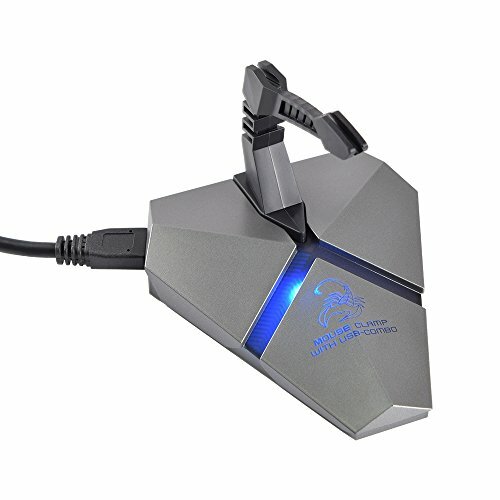 In terms of the best mouse bungee, the Skorpion offers enough weight to stand still and enough smooth feed for the mouse wire, making it a top pick. Note: the wire channels have square edges. With some gaming-mouse wires, this can pose a problem. This mouse bungee by Thermaltake is another arched, tail-style lift that hoists the wire up and over the bungee, keeping it off the table and out of the way of your play arm. Unlike other fixed systems, the tail for this bungee connects via a strong magnet. Overall, the design’s aesthetics will match just about any system. Sometimes the wire will pop out of the wire channel during intense gaming situations. Additionally, the magnet has been known to come apart if the wire pulls suddenly, and the arm will fall to the floor. The Gaming Mouse Bungee Cord Holder by ApexSun is a futuristic bungee with white, polished plastic and a scorpion-style tail extending up and over the base. Although the base is flat, it is weighted, reducing the danger of toppling. 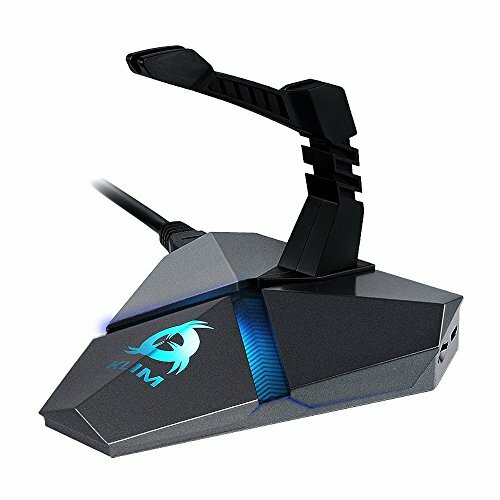 Again, in terms of the best mouse bungee, this particular model offers loads of connectivity. 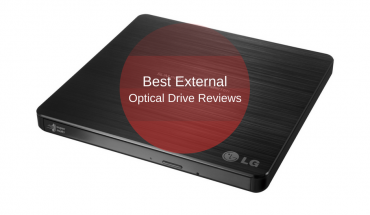 For instance, it includes four USB 3.0 ports, allowing for the powering of gaming accessories or quick charging of a smart phone. Note: nothing except the heaviest mouse bungees can really withstand a Fortnite battle in which the player is not very competent and is flailing all over the place, trying to locate the enemy and select the proper weapon. In these situations, faulting the mouse bungee is like faulting the glass of water that also spills across the table. Simply put: do not blame the bungee if the player is a spaz. This cord holder does not lift the wires out of the way. Instead, it is designed to keep the wires at a comfortable angle away from the mouse. Additionally, it has two channels, so it is perfect for a wired keyboard-and-mouse setup. The bottom has a non-slip base, and it is weighted appropriately for its size. Anyone looking for the best mouse bungee will need to consider the magnetic, Mouse Bungee Cord Holder. More important, this might be the absolutely best mouse bungee for gamers looking for a dual-wire solution.